Puppies are vulnerable to unpleasant infections, including distemper, infectious canine hepatitis, parvovirus and rabies. While puppies are still with their mother they get temporary protection, delivered through her milk. Once your puppy is weaned, they can’t mix with other dogs – or play anywhere other dogs might have been – until after their second vaccination. Your puppy’s first vaccinations should take place at six weeks. This needs to be followed by a second vaccination two to four weeks later. So when you bring your puppy home, make sure you also get details of their vaccinations – what they’ve had so far and what they still need. Try to register your puppy with a vet as soon as you can and book an appointment well ahead. Vets can help with all kinds of health and care questions, so don’t worry about turning up with a list. 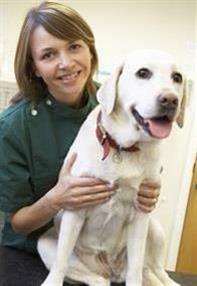 To keep your dog healthy, they’ll need a booster jab every year. Why does my dog need vaccinations? Vaccinations protect your dog against diseases, some of which are life threatening and can be easily spread to other dogs. Your puppy’s first vaccination will normally be at about eight weeks of age, with a second dose at 10-12 weeks. Your puppy won’t have full protection until two weeks after the second vaccination takes effect. After that, annual booster vaccinations are needed to maintain your dog’s immunity. The kennel cough vaccination is also recommended for any dogs staying in boarding kennels, or who are going be in contact with lots of other dogs, for example at training classes or dog shows. Parvovirus is highly infectious and extremely dangerous. It affects the intestine, lymphoid tissues and bone marrow of puppies and quickly causes loss of appetite, fever, vomiting, diarrhoea – and in over 90% of untreated cases, death. Parvovirus is just one of the reasons it’s so essential to have your dog vaccinated, and to prevent them having any contact with other dogs or their poo until this is done. Direct contact between dogs isn't necessary for the infection to spread - the virus can stay in soil for up to a year, so just licking the ground can be enough. If you suspect your dog has contracted parvovirus, act quickly. The sooner a vet can treat the disease, the less permanent damage will be done.